We asked local gyms to share what diets their clients are following. The lowdown: Vegetarians do not consume animal meat—including pigs, chickens, cows, and sea creatures. While some do it for health purposes, others do it for cultural, environmental, and/or religious beliefs. There are subtypes, such as lacto-ovo vegetarians who allow animal products like dairy and eggs, ovo-vegetarians who allow only eggs, lacto-vegetarians who allow only dairy products, and demi-vegetarians who allow the occasional fish and eggs. Pros: According to Live Strong, as long as you choose the right food sources, vegetarianism has multiple health benefits, such as lower body mass index, lower risks for cardiovascular and heart disease, lower blood pressure, higher immunity, and life longevity. “Vegetarian sources, such as vegetables and fruits, are cheaper to buy and easier to prepare or cook,” said Nikki Torres, Beyond Yoga teacher and blogger of prettydarnfit.com. Cons: One of the biggest drawbacks for people starting a vegetarian lifestyle is nutrient deficiency. “When fruits and vegetables aren’t available, there’s a tendency to eat more junk food and carbs,” warned Torres. Vegetarians who rely on refined grains, sweets, sugary beverages and solid fats can be just as unhealthy as people who eat meat. [source: Live Strong]. Professional advice: Being vegetarian doesn’t mean you’re automatically healthy. When getting into long-term vegetarianism, consult a nutritionist who can help you pick vegetarian food sources to make up for the lack of essentials nutrients (such as amino-acids) provided by meat products. A well-planned vegetarian diet can be adequate in protein and essential nutrients. The lowdown: Vegans have a more restrictive lifestyle than vegetarians. Aside from animal meat, they avoid all animal products, such as dairy, eggs, honey, gelatin, and marshmallows (which contain animal fat), and animal by-products, such as silk, wool, and leather. Cons: Like vegetarians, vegans are also at risk for nutrient deficiency. According to the American Journal of Clinical Nutrition, two in three vegetarians are vitamin B12 deficient, compared to one in 20 meat eaters. It’s also difficult for vegans to eat out given the limited vegan food choices in restaurants, which is why many bring their own baon. Professional advice: Vegans must find an alternative source of vitamin B12, found mostly in animal products like meat, fish, dairy, and eggs. With the help of a nutritionist, vegans should know the specific needs, including the amount of calories, proteins, and carbs their body needs [source: Meatless in America]. They also need time to adjust to a vegan lifestyle, including grocery-shopping habits. The lowdown: Notice that there’s a growing demand for diet delivery services in Manila. These services deliver three to four healthy meals that total to 1,200, 1,500, 1,800 or 2,000 calories a day, depending on your needs. Some even cater to popular diets such as Paleo, HGC, and vegan. For people who prefer going DIY, they download calorie-counting apps such as My Fitness Pal. The app calculates the maximum number of calories you can consume in a day depending on your weight, height, age, body type, fitness level, and weight loss goals. Pros: Many people who count calories often experience weight loss right away [via Shape]. “You learn to control your portions and train yourself to eat just the right amount per meal,” added Torres. Cons: “The amount of daily calories you restrict yourself to may not be enough for your body, especially if you’re an active person,” said Torres. Those who use calorie-counting apps often don’t pick the right types of food and risk getting inadequate nutrition. Professional advice: When counting calories, be aware of portion size and read food labels to identify nutrient information [via Shape]. It’s not simply about counting the calories; it’s about getting proper nutrition. The lowdown: It limits the intake of carbohydrates and focuses on foods high in protein and fat. 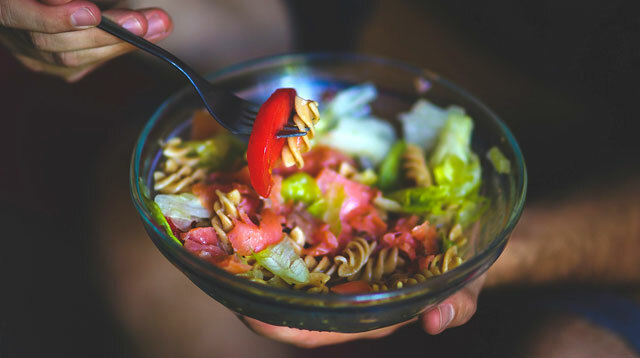 There are many types of low-carb diets that became popular through the years, such as Atkins and South Beach, while some opt to simply lessen their daily intake of carbs. Pros: When done properly, it can promote more muscle with less fat, insulin management, and lower inflammation [via Strength Sensei]. Cons: “If your diet consists strictly of high protein foods, you may experience some serious health problems. Along with increasing levels of cholesterol, this diet may cause long-term damage to kidneys,” health writer Simon McNeil said in askmen.com. Starving your body from carbs will potentially cause bone calcium loss and deprivation of essential nutrients from your body. The lowdown: Also known as the caveman’s diet, the Paleolithic diet is based on the basic food our ancient ancestors hunted and gathered during the Stone Age, such as meat, fish, nuts, and fruits. It excludes processed and modern food that they wouldn’t have had access to, such as refined sugar, salt, dairy, and bread. Paleo is popular in the CrossFit community. Cons: Because the diet cuts out several food groups, it may be hard to sustain long-term. There are also many definitions and versions of the Paleo diet, so it can be restrictive and confusing. [via Prevention]. Craving For Carbs? Eat These Alternatives Instead!